Kingston Hotel Dun Laoghaire, Hotel Ireland. Limited Time Offer! Kingston Hotel. "Kingston Hotel" is a 2-star hotel. 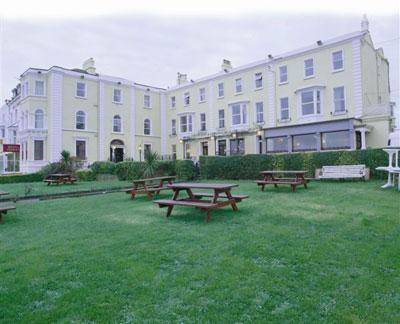 The residence is an ideal base point from which to discover Dun Laoghaire. This residence has 52 bedrooms in total. Inside, it is never too hot thanks to the air conditioning. Children can play safely in the intimacy of the garden. This hotel includes a restaurant which proudly serves its Italian specialty. For a drink in the evening, feel free to visit the bar-restaurant or lounge bar. In the morning, breakfast is available. Staying in touch with the rest of the world is made possible with free of charge Internet access. With full Irish breakfasts and free Wi-Fi, this family-run B&B is located in the centre of Dun Laoghaire. Dublin is a 20-minute drive away, and the DART rail station is a 5-minute walk from the lodge.